Did you know plants excrete? Surprising right? Excretion is the process by which all living organisms eliminate their body waste including plants. Unlike humans and other vertebrates, plants do not have a specialized unit that performs excretion exclusively. Let us take a look at excretion in plants. Plants perform photosynthesis which uses CO2, water, sunlight, and chlorophyll to synthesize food. During photosynthesis, oxygen is given out as a by-product. This oxygen acts as an excretory product and is given out by a process called diffusion. Certain plants perform a process known as photorespiration where oxygen is taken in and CO2 is given out as a waste product. 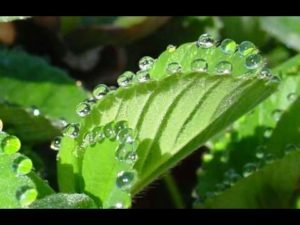 All plants perform transpiration which is the process by which plants transport water from the roots to the aerial parts of the plant for elimination in the form of water droplets or water vapour. This process occurs because the plants take in more water than they need for their biomechanical processes and the excess water is eliminated by transpiration. Transpiration occurs via small pores present on the undersurface of leaves known as stomata. Plants produce waste materials that get accumulated in the vacuoles of ageing cells. These cells eventually die and fall-off-the plant. These structures can be stems, leaves or bark of trees. Another commonly produces waste material of plants is tannins. Tannin is a product of plants that are stored in the trunks of trees. They are present in the bark of the trees. The plant tissue phloem is responsible for transporting water and minerals from the soil to the aerial tissues of the plant. The leaves utilize the number of minerals they require while the rest are eliminated. Plants eliminate excess salt and minerals in the form of crystals such as sodium oxalate crystals, calcium carbonate etc. Like animals, plants also eliminate ammonia products such as alkaloids. The common type of alkaloids that plants produce are morphine, quinone which is used to treat many human diseases. Another waste product that plants produce is latex. These are produced by cells called lactifiers and found in rubber plants. This latex that is a waste product for plants is actually very useful to man in the manufacture of many rubber products. Plants also produce gums which are actually a degradation product of cells. These are also useful to man in the manufacture of many products. 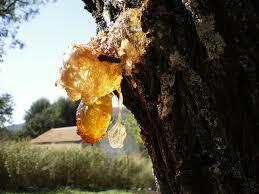 Gums and Resins that a plant produces are basically stored in ageing or old xylem. Few plants also eliminate their waste into the soil through their roots. As mentioned earlier, plants do not have a specific system that performs excretion. The different plant structures that eliminate different forms of wastes are leaves, stems, ageing tissues, xylem, roots, bark, fruits, and flowers( help excrete water in some plants). Q: Which of the following is a waste product of plants? Sol. (d) all of the above. Gums, tannins, Resins are few of the excretory products of plants.